Gut Essen und Trinken ist die wahre Metaphysik des Lebens. French cuisine is recognized by UNESCO as intangible world cultural heritage - the banquet as a social gathering and at the same time as a social network, where knowledge and cultural identity are passed on through the profession. Here it is celebrated in the performance at the dinner table. The composition of the dishes reflects lost cooking traditions and almost forgotten dishes. Multiple courses were chosen for their a special meaning in culture or culinary history and celebrate the art of eating and drinking. 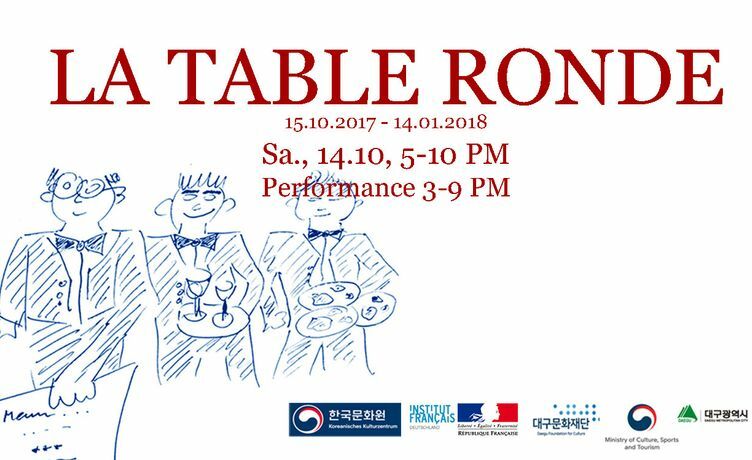 In addition to the performance at the opening, the works of the 20 participating artists will be dealing with the various aspects of conditions of equality (La Table Ronde) via gastronomy. There are several senses addressed, one can not only hear and see the works, but also touch them, eat them and perceive the smell. They correspond dramatically to each course of the meal and components of the performance. The exhibition presents video works, installations, as well as photo documentation of the performance.